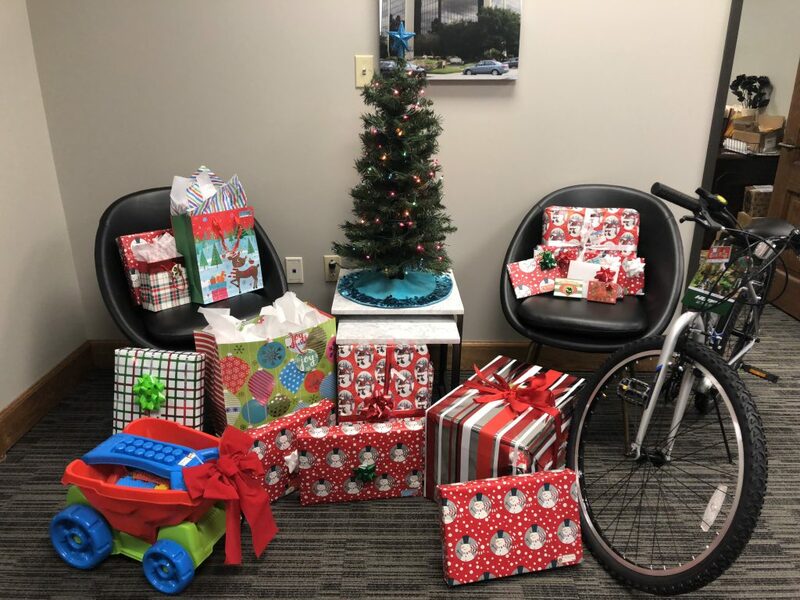 by Stirling PropertiesPublished December 26, 2018 Leave a Comment on ‘Tis the Season for Giving! 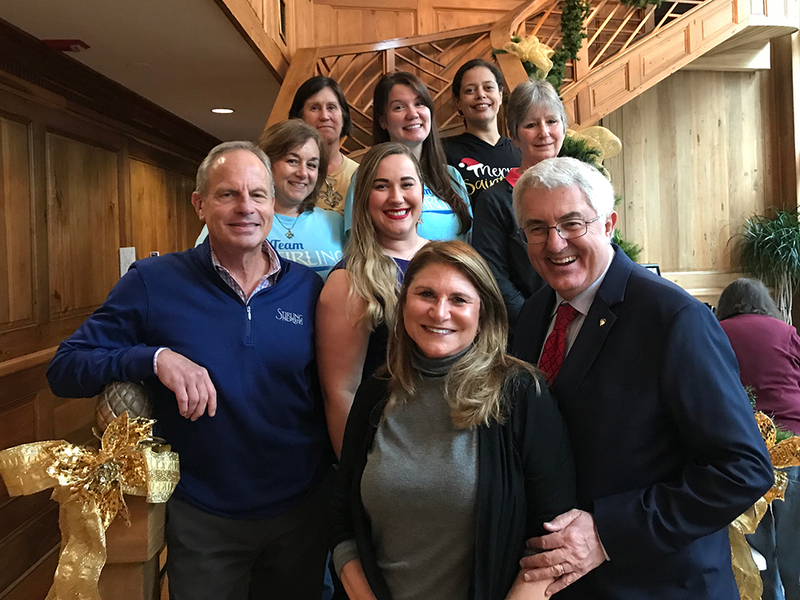 Team Stirling Properties once again teamed up with Volunteers of America to participate in the Christmas Wish “Angel” Project. 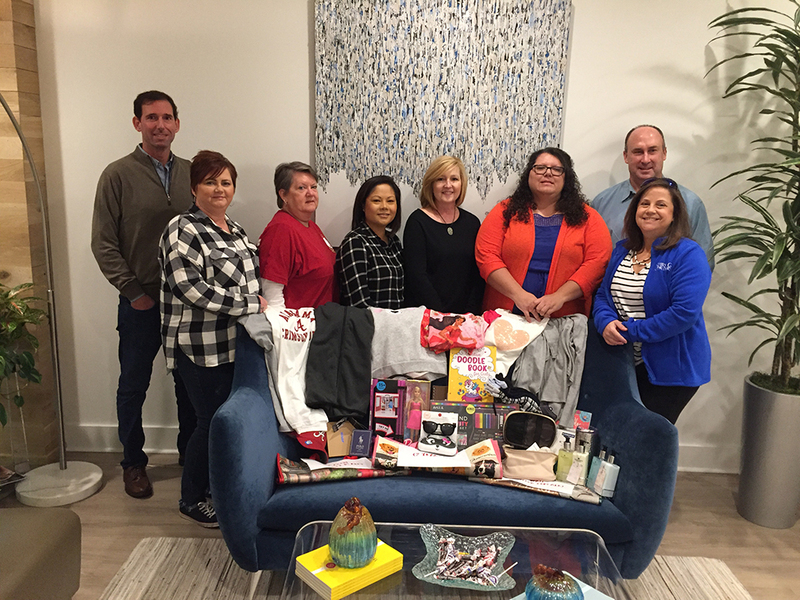 For the 7th year, our company donated Christmas gifts and other essential items to local families in need across our Gulf South region. 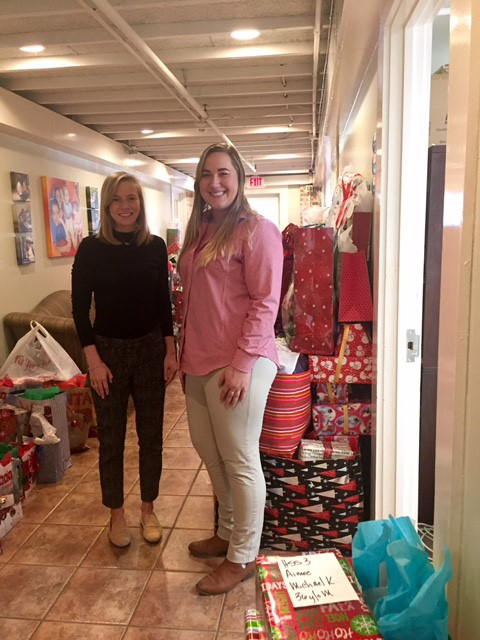 The annual Christmas Wish Project helped bring joy and holiday cheer to families and individuals who might not have had a Christmas this year. Through Volunteers of America (VOA), participating families submitted “wish list” gift items for each individual. The wishes were noted on paper angels and hung on the company Christmas tree where Stirling Properties and employees could select and grant them. In all, 11 families and more than 60 children, adults and seniors received Christmas gifts. Stirling Properties’ Stewardship Committee organized the company-wide events by partnering with Volunteers of America in Greater New Orleans, Greater Baton Rouge and the Southeast to serve the New Orleans Northshore and Southshore, Baton Rouge, Lafayette, and Mobile communities. 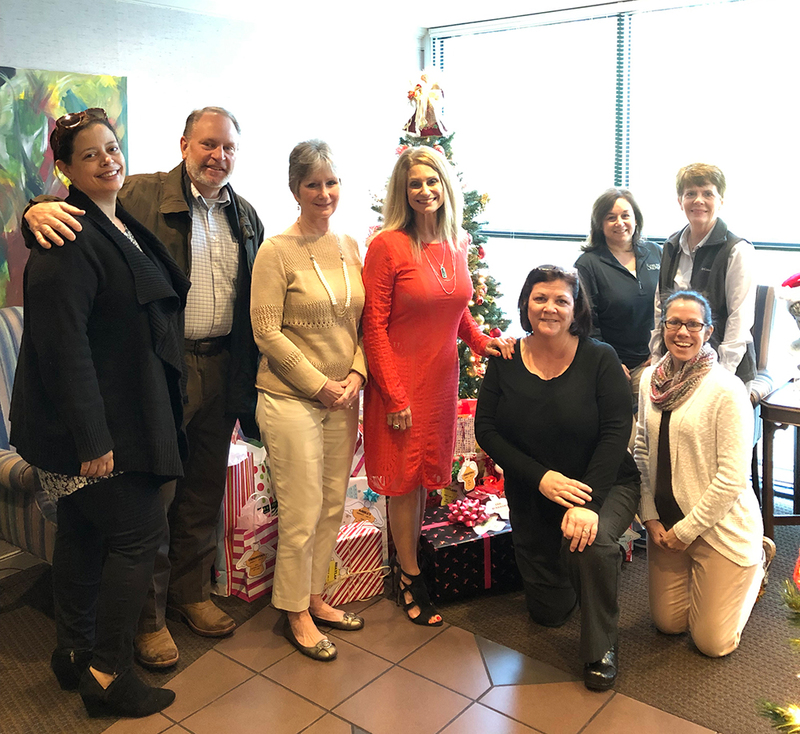 In addition to donating gifts to the Christmas Wish Project, Stirling Properties hosted its fourth annual Northpark Christmas Bazaar, Bake Sale & Raffle on Thursday, November 29th. Local vendors, as well as employees of the Northpark office complex sold baked goodies, crafts, jewelry, ornaments, artwork, beauty products and many other great gift items. 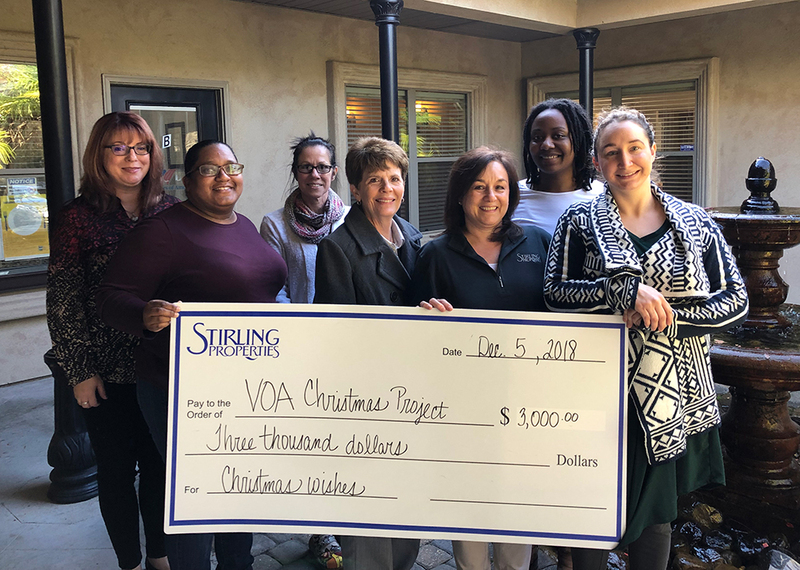 The Christmas Bazaar raised $3,000 which was also donated in full to Volunteers of America to assist more families in our area with emergency holiday needs. 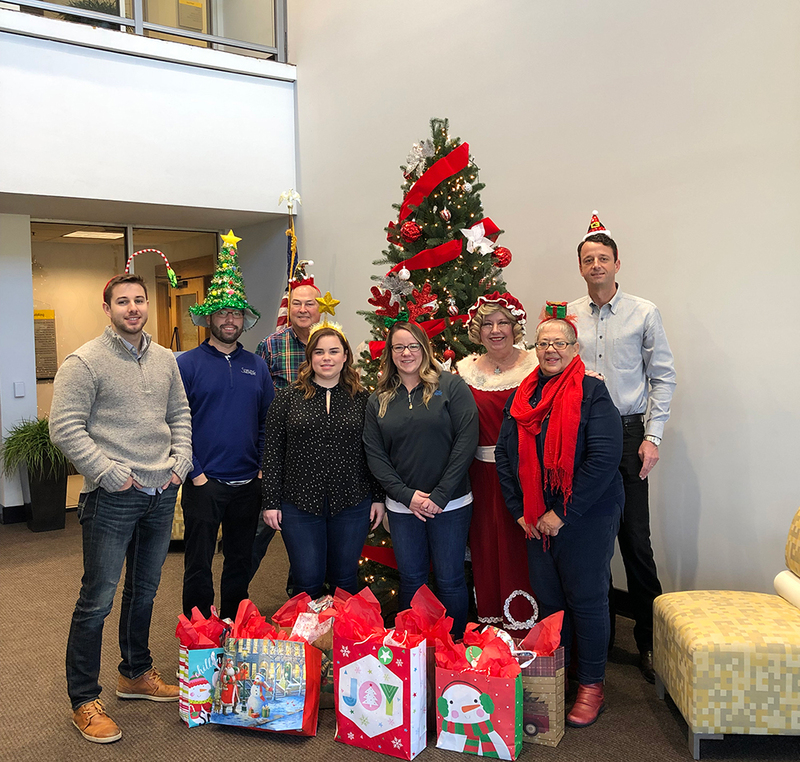 Team Stirling Properties also held a ‘Tis The Season Day,’ where employees donated money for the opportunity to wear their favorite Stirling gear to work (or Saintsmas gear, of course!). The day raised $315 that will benefit the VOA Christmas Wish Project as well. For more information about Stirling’s Stewardship Committee, please visit our website or contact us by email at stewardship@stirlingprop.com.